This MBA is designed to help you meet the challenges of the complex environment in which organizations today must increasingly operate, with global markets no longer the sole remit of multinational corporations. The program includes a module on the International Marketing and Business Environment, while in the residency you will join with fellow students from a multinational environment to develop the skills needed to tackle global-local challenges in ethics, responsibility and sustainability. 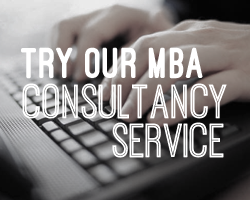 Fill out your details to find out more about Online MBA International Business.